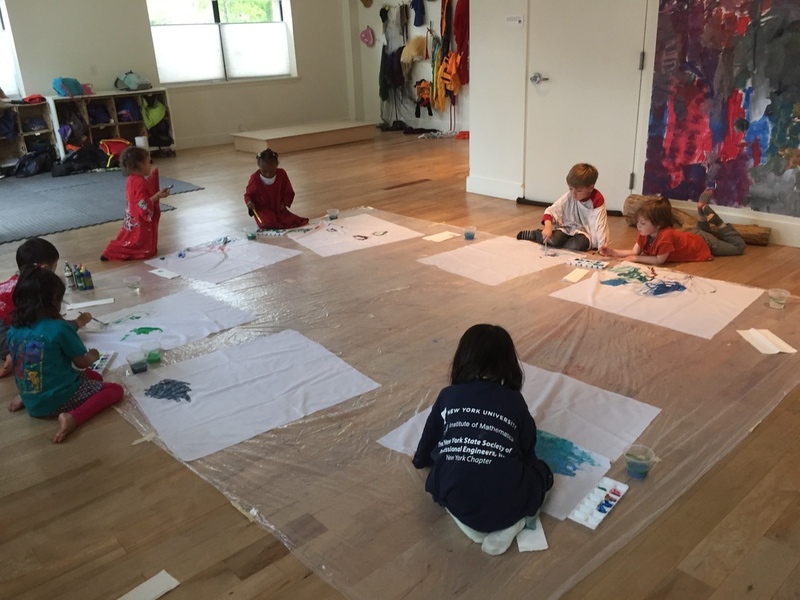 Birds of prey, kite making, creative movement…discovery really took flight this week at Pono! Bill Flynn, the director of animal care at New Canaan Nature Center, brought three beautiful birds of prey to Pono this week. We met Socrates, a great horned owl; Topper, an American kestrel; and Keera, a red-tailed hawk. It was thrilling to learn about these birds up close! 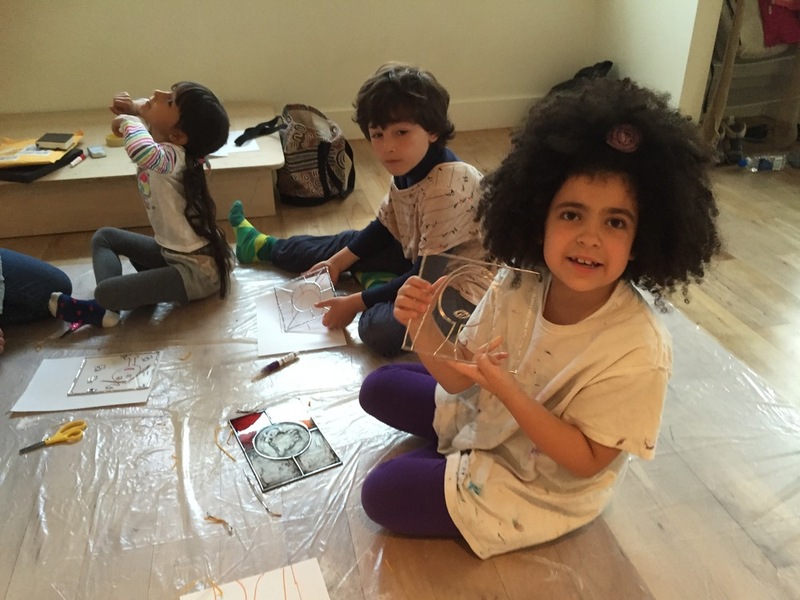 Poppy Luca and the older children learned about the origins of glass and looked at the history of stained glass throughout the world. The children then designed their own glass by making a template and applying metal line work. The next step is to add colors and details with simulated silver oxide. Poppy and the older children also made paper this week. The Pono friends were delighted that Poppy added some glitter to the pulp, which gave their handmade paper a subtle shimmer! Our favorite storyteller, Laura Simms, returned to Pono and enthralled the children with a tale about ancient Egypt. Dr. A and the younger children studied vertebrates and invertebrates and sorted various creatures by phylum, or group. Is a sea star a member of Mollusca, Echinodermata, Arthropoda, Platyhelminthes, or Cnidaria? Ask a young Pono friend! The older children also explored the differences between vertebrates and invertebrates. 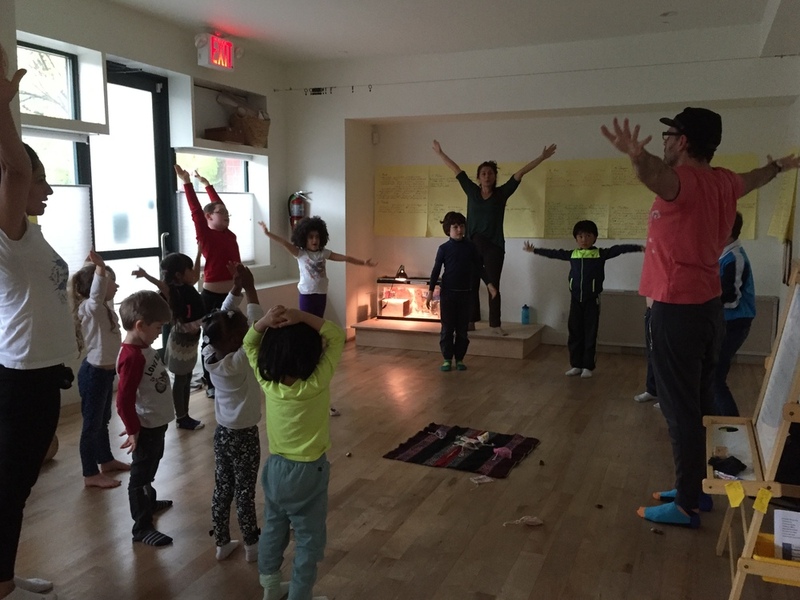 Pono parent and yoga instructor Eric Stoneberg invited the children to go on an inner journey to discover their "power animals." It turns out we have a full menagerie at Pono, including a peacock, dolphin, pig, and even a Tyrannosaurus Rex! 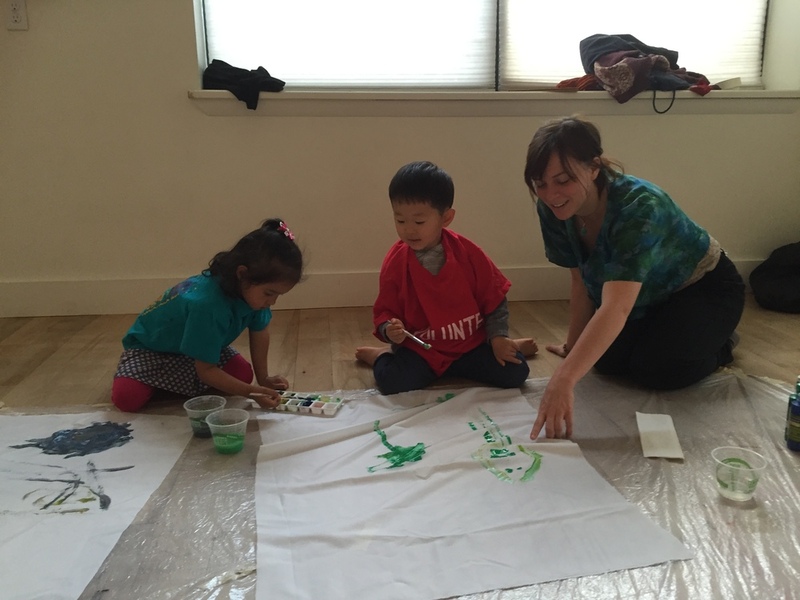 Ali and our younger Pono artists painted with watercolors this week. 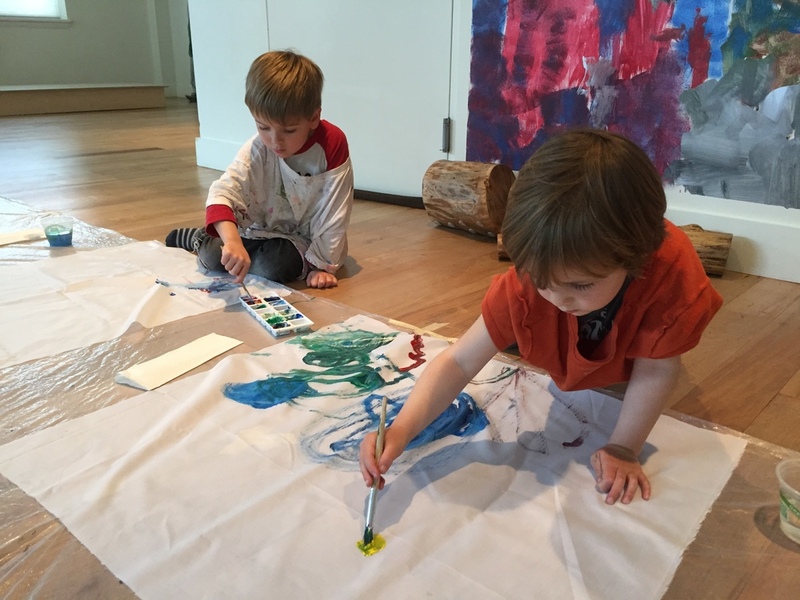 They have been enjoying experimenting with color mixing. This week in math with Maysaa, the older children worked on mini-lessons designed to help them develop efficient computation. They used arithmetic racks, calculating frames that have two rows of ten beads (each row has two sets of five beads). They also practiced with "billboards," pictures that are designed to help the children perceive small amounts as units, important for addition and subtraction. Maysaa and the younger math group played a hexagons board game. 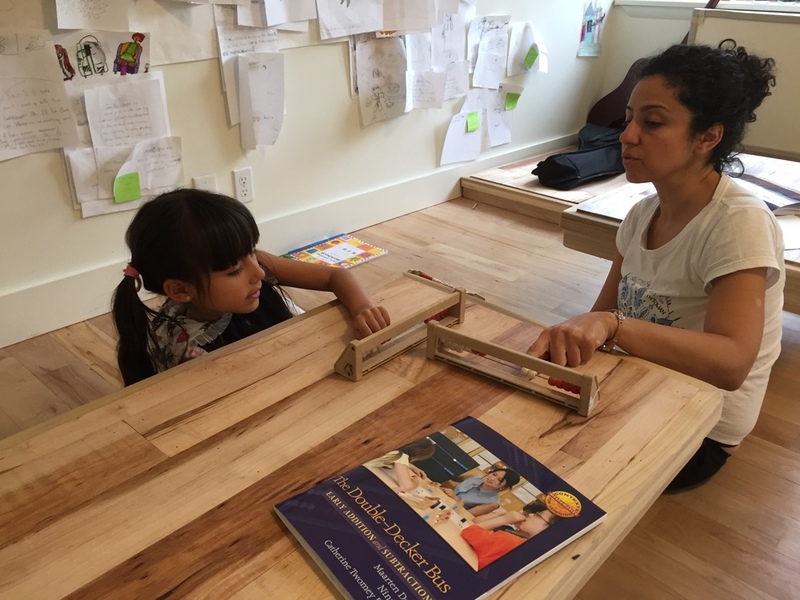 Math is a very hands-on experience at Pono! This week in literacy with Julietta, one group began making their Where They Come book. It's exciting to see how sophisticated their ideas are becoming and to observe their growth in both reading and writing! The other group began to explore poetry. They learned about acrostics, rhyming poems, odes, haiku, and free verse poems, and they began to pick out devices such as metaphor, repetition, onomatopoeia, and alliteration. 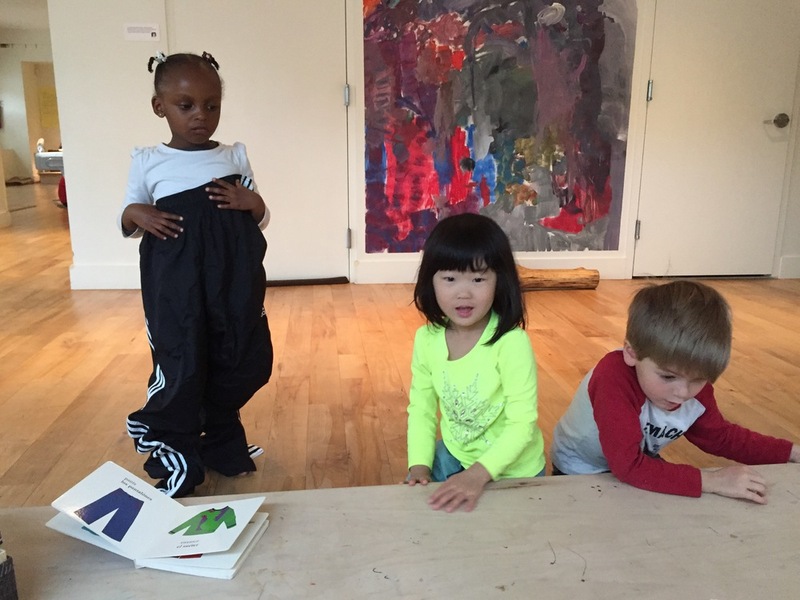 Julietta also introduced them to the work of local poets Langston Hughes and Maya Angelou. 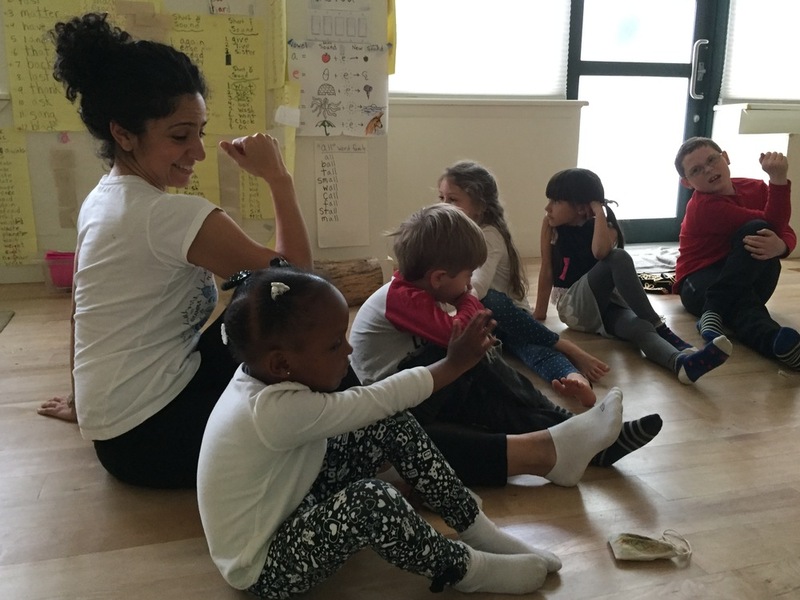 Our younger friends expressed themselves through creative movement with Salma. Look how they soar and how they land! The older children had more time this week to watch part of Nova's series "Becoming Human: Unearthing Our Earliest Ancestors." They find our earliest human relatives very fascinating! This week in Spanish, Kate and our younger Pono friends played dress-up! We all took turns trying on la falda/skirt, los pantalones/pants, el sombrero/hat, and la camisa/shirt. The amigos found it especially amusing when Kate tried on everything at once! Kate read Demi's book Kites: Magic Wishes That Fly to the Sky to the younger children, and then Ali gave the children nylon and paint for making their own kites. We can't wait to see their creations take flight! Our younger Pono friends are enjoying their salad days! Kate provided various ingredients, and the children shredded lettuce and chopped strawberries, put them in a jar, and added blueberry dressing, corn, and crunchy tortilla strips. Then it was time to shake, shake, shake! The end result was a yummy "mixed-up" layer salad. 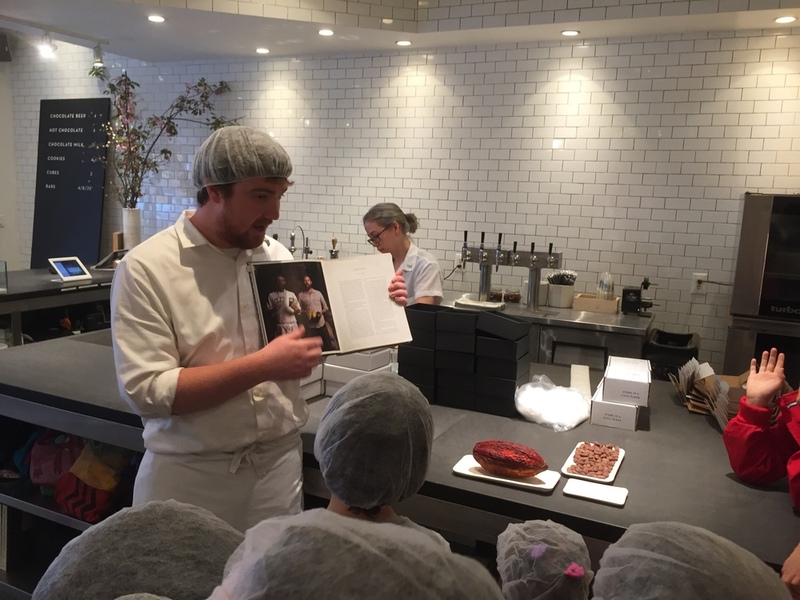 This week we ventured to Williamsburg, Brooklyn, for a tasty tour of the Mast Brothers' chocolate factory. 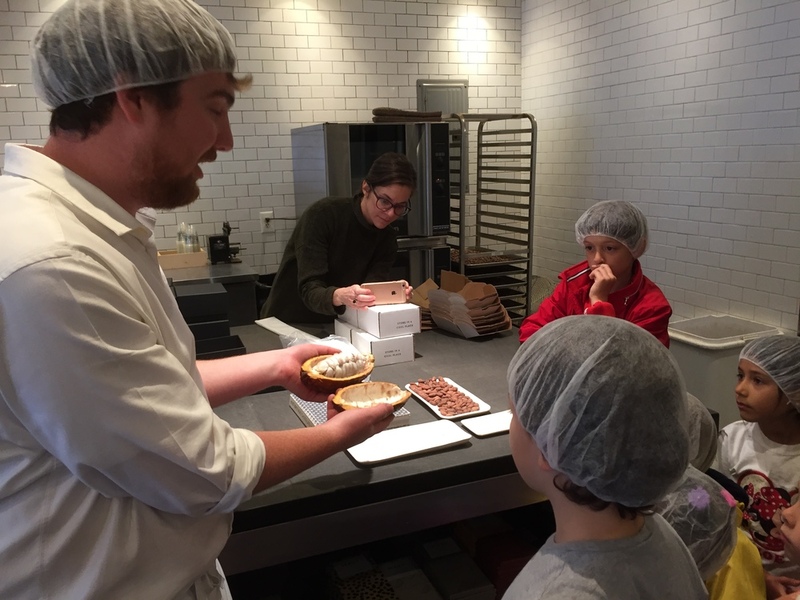 Our guide, Aaron, showed us the bean-to-bar process, starting with a cacao pod. 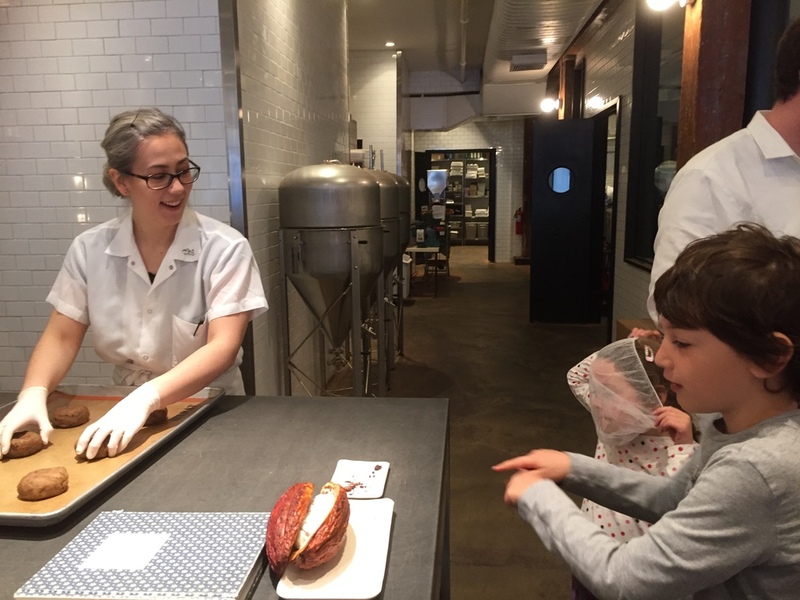 We learned that it takes one cacao pod to make one chocolate bar! 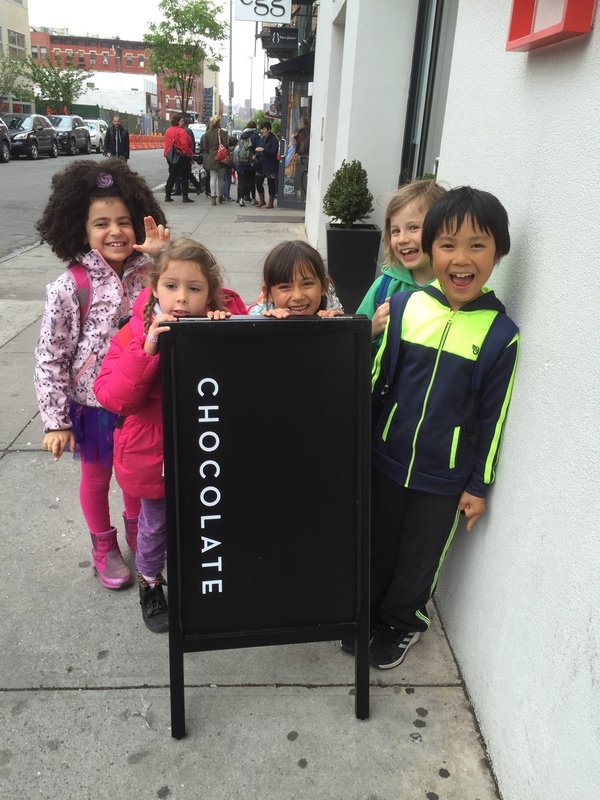 We watched how cocoa beans are winnowed and later tasted chocolate in its liquid state. 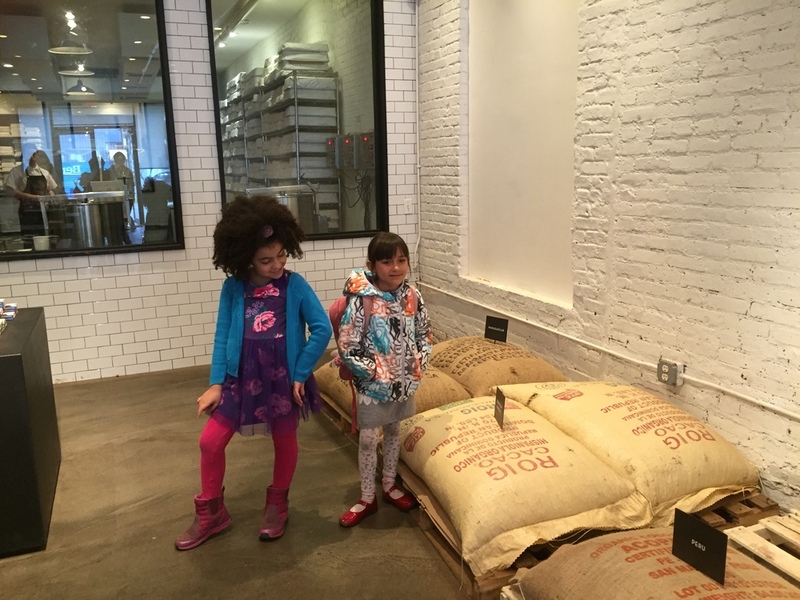 Aaron took us into the kitchen, where we saw slabs of chocolate and a wall full of delicious ingredients. The best part of the tour? The tasting! Our surprise favorite was the goat milk chocolate! Somehow we still had room for lunch and headed to the waterfront to eat and enjoy views of Manhattan. The children also had time to play in McCarren Park before heading back to Pono. Artist and illustrator Bek Millhouse guided our comic book group this week, while our songwriting team met with musician Ali Dineen. We can hardly contain all the creativity that's going on in the Pono space!